Already dreaming of those warm summer days on the porch sipping a nice cold glass of lemonade? Why not make it even better with some blueberry lemonade kombucha? The blueberries’ sweet taste compliments the tartness of the lemonade and will be sure to impress your guests at a house party or your next BBQ! Add half the blueberries, lemon juice, and water to blender. Blend thoroughly until pureed. Pour puree through your strainer and funnel into the fermentation bottle. Pour raw green tea kombucha into fermentation bottle leaving an inch of space from the top of the cap. This will help to control the carbonation from leaking over when opening. Close your bottle ensuring it is air tight. 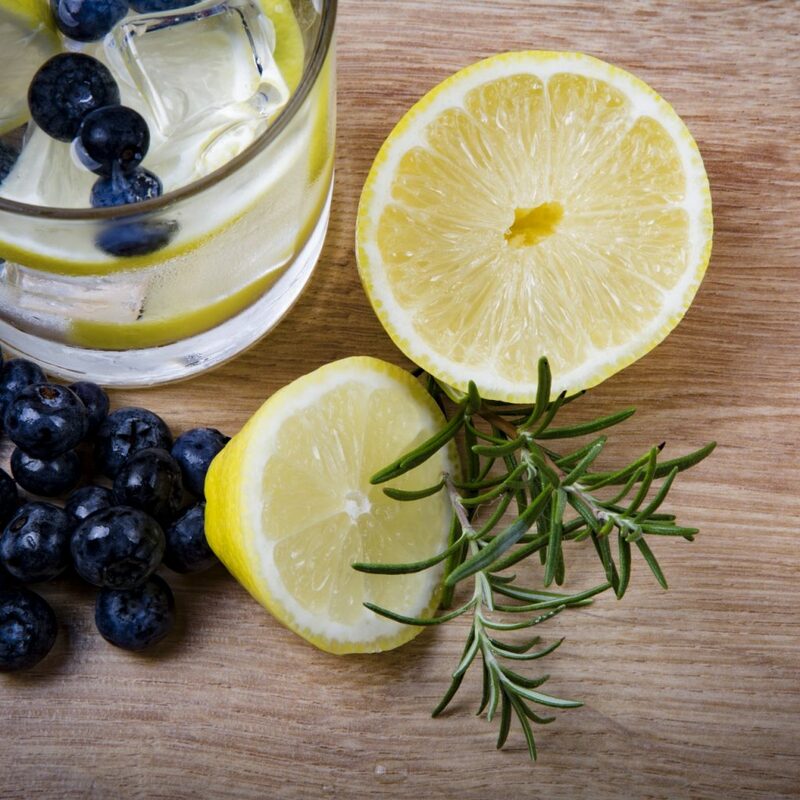 Pour in glass and add 3-4 fresh blueberries, one small slice of lemon, and sprig of rosemary to glass as garnish.